Cupids is the site of Canada’s first English settlement—and that’s where the exhibits in our museum begin. 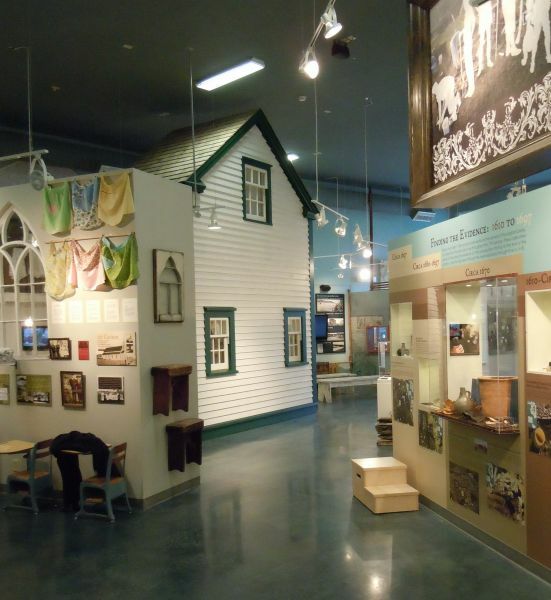 Visitors are invited to follow our story through four centuries of evolving culture, struggle and achievement, told through multi-media, interactive and colourful displays—or through entertaining guided tours by knowledgeable staff. Exhibit highlights also include some of the more than 180,000 artifacts uncovered to date during painstaking archaeological work at the Cupids Cove Plantation Site, just a five-minute walk from the Legacy Centre and the site of the original Guy colony, founded 1610. Pre-booked group and school-tour rates and combined admission with the Cupids Cove Plantation Site also available.